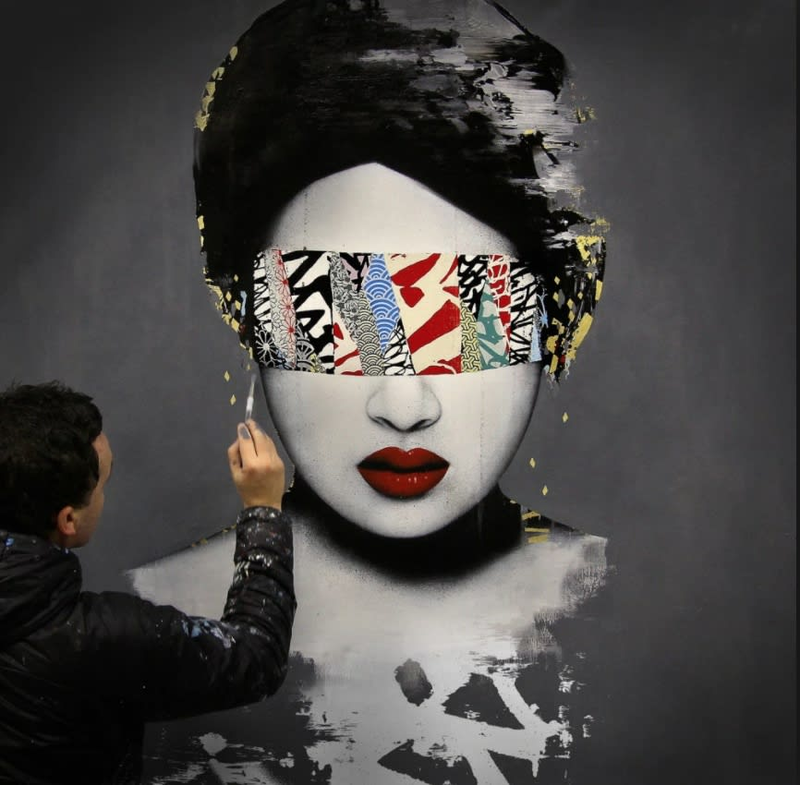 HUSH is a British artist who focuses on the evolution of graffiti and the intersection between different cultures, “I've always been interested in how graffiti was being reintroduced and how it was influencing styles and fonts, but never really being accepted as its own art form”. HUSH's travels across North America, Europe, and Asia have all informed his creative process, drawing inspiration from graphic novels, anime manga, and the evanescent characteristic of street art. It was here that he developed his fascination with mark-making, tagging, and graffiti. He is known for the layering of diverse aesthetics and styles which are characteristic of tagging. His mixed media artworks combine elements of graffiti and collage over screen-printed and painted canvases. HUSH has showcased in exhibitions worldwide including galleries in Los Angeles, New York, Miami, and London. His artwork has been featured in a multiple publications such as Street Knowledge (Harper Collins) and has been acclaimed by The Independent newspaper, where he was listed in their ‘Top 20 Up and Coming Artists’ of 2016.